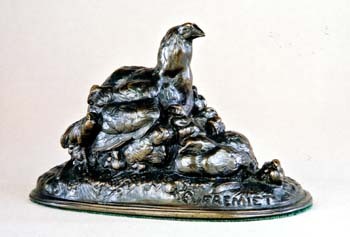 Fremiet's earliest sculptural works were of small animals. 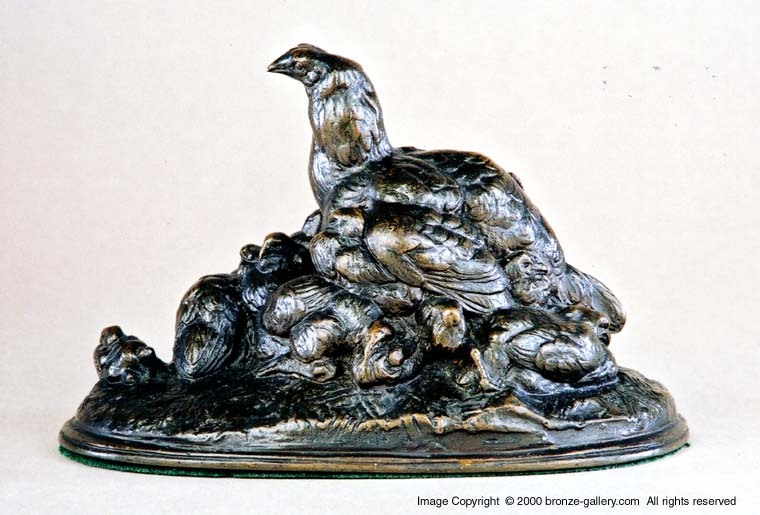 This little bronze group of Chickens has 16 baby Chicks protected by the Hen. The mother Hen spreads her wings over her brood as heads pop out everywhere. It is a lovely small cabinet bronze with a rich dark brown patina in excellent condition. 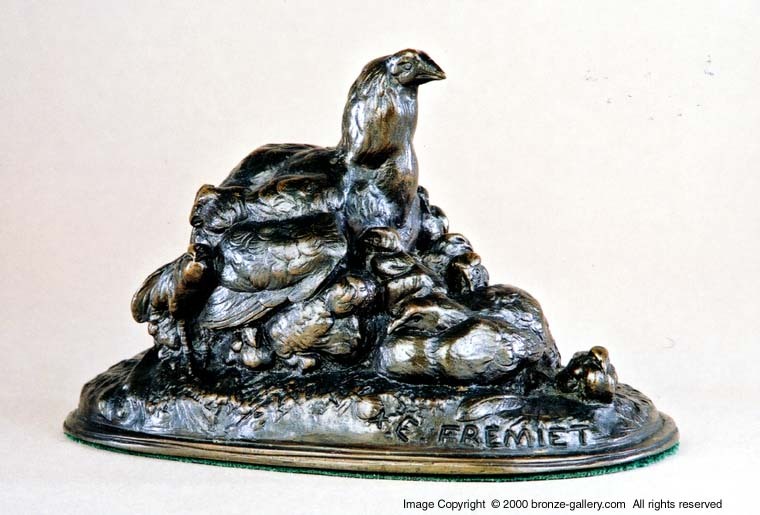 The museum in Gueret France has a cast of this model in their permanent collection of 19th century French bronzes.